Another Labour MP declared he would vote for Theresa May‘s Brexit deal today in defiance of orders from Jeremy Corbyn. Sir Kevin Barron said the deal was the only way to deliver on the referendum and avoid a no deal Brexit on March 27. The Rother Valley MP represents one of the strongest Leave-supporting parts of the country and he is among a number of Labour MPs causing a deep split in the party. Labour’s policy is to push for a general election if the Prime Minister loses the meaningful vote on Tuesday and Mr Corbyn has ordered his side to vote No. There will not be enough Labour votes to save Mrs May in the Commons tomorrow night. 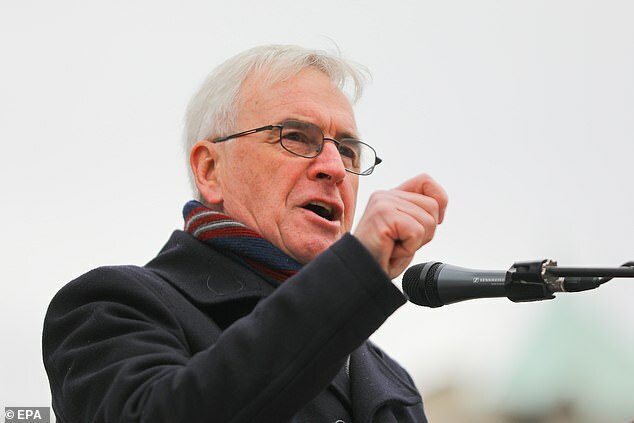 In other developments today, shadow chancellor John McDonnell said there should just be a simple vote on the deal tomorrow night, with amendments voted on later to avoid muddying the result. Ahead of the vote, Sir Kevin said it ‘saddens me’ so many MPs appeared determined to cancel Brexit. Writing in The Times, Sir Kevin said he promised he would not ‘disrespect my constituents by needlessly trying to block Brexit’ in the 2017 general election. ‘Those were also the words of the Labour Party manifesto that all Labour MPs stood on, which clearly stated that we respected the referendum decision and we would support the process of leaving the EU,’ he said. ‘Once a parliament has handed over the choice in the form of a referendum we must respect the decision that is made. It truly saddens me that so many in the Commons are trying to overturn the decision. Sir Kevin said that while Mrs May’s deal is ‘clearly not a perfect one’ his reservations are ‘far outweighed by the huge risk of a no-deal Brexit’. The Government has confirmed it will back moves by Labour MPs to safeguard workers’ rights after Brexit in an attempt to win support for the deal. The backbench amendment would require Britain to at least match EU rules on pay and conditions, health and safety issues, plus environmental standards. The Government would be obliged to ‘consider’ any new laws on these standards passed by the EU after Brexit. John Mann, one of the Labour MPs behind the amendment, said Government backing for the proposal could make the Prime Minister’s plan ‘more attractive’. ‘If we have a guarantee that works on workers’ rights and conditions, that’s significant,’ he told the Daily Mirror. Sir Kevin has been MP for Rother Valley since 1983 and served as chairman of the MPs standards watchdog for eight years. His public show of support for the PM’s deal comes after Remain-supporting Labour former minister Jim Fitzpatrick said he is close to supporting the withdrawal agreement. The Poplar and Limehouse MP said he was talking himself into supporting the agreement ‘against no deal and against further delay’. ‘I’m not quite there yet but I’m not far away,’ he said. 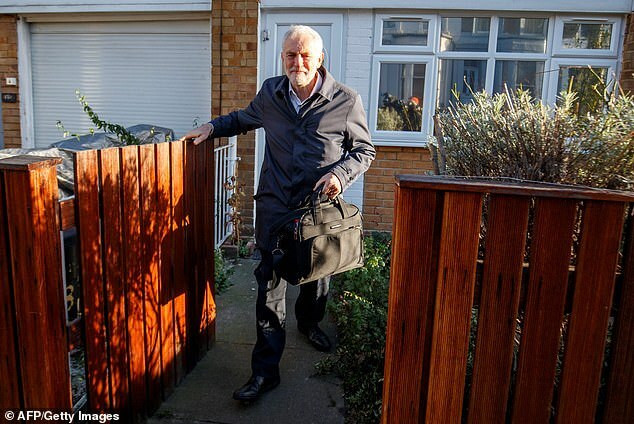 He told Today that ‘the call’ would be made after the meaningful vote and followed by an announcement by Jeremy Corbyn. Mr McDonnell said: ‘Let’s listen to the debate, let’s watch the balance of forces within Parliament itself. ‘Those are the sort of judgments we will have to make. It’s not a matter of if, it’s a matter of when. 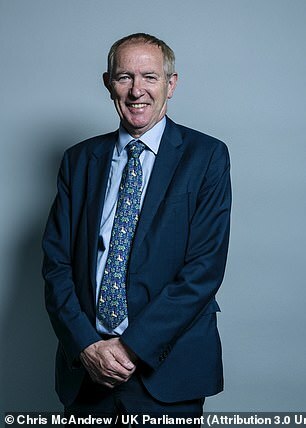 Mr McDonnell also distanced himself from a motion laid by Hilary Benn to avoid a no-deal Brexit, saying it was ‘perfectly sound’ but that he preferred a ‘straight vote’ on Mrs May’s Brexit deal.